Since the beginning of the year, the JTI has been a hive of activity, concentrating on Election Dispute Resolution training, in partnership with the Judiciary Committee on Elections. 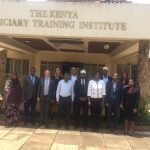 This follows a directive by the Honourable Chief Justice, David Maraga, to scale down on other trainings and prioritise EDR training. And although the priority has been on EDR training, other specifically approved trainings include the Magistrates Colloquium, the Judges Colloquium, the Kenya Women Judges Association International Conference and the Judiciary Sports Day. The directive by the Chief Justice was informed by the need to ensure that the Judiciary is prepared to handle the avalanche of election disputes likely to be before the courts after the 2017 elections. It is also informed by the need to allow Judges and Magistrates to concentrate on clearing up cases before the election disputes, and thereafter to hear election matters within the constitutional timeframes. The training calendar is therefore expected to normalize after March 2017. Already, EDR training for High Court Judges and 300 Magistrates has been completed. The trainings have been decentralized to various regions so as to reduce travel time for Judges and Magistrates. Further, the distribution of Judges and Magistrates in the trainings ensured that interruptions to court work were kept at a minimum. 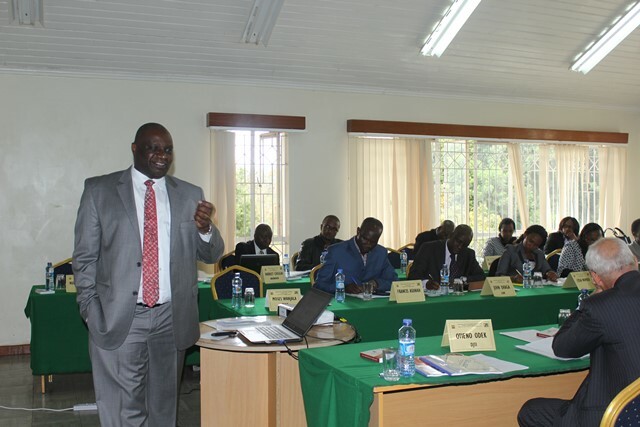 Simultaneous group trainings have been taking place in Nairobi, Mombasa, Nyeri and Kisumu. Trainings for the Supreme Court, Court of Appeal, Political Parties Disputes Tribunal and Special Magistrates are also planned for. It is expected that all the trainings will have been completed by April 2017. Meanwhile, the process of operationalizing the Directorate of Judicial Education and Curriculum Development has begun, with the recruitment of the Deputy Director Judicial Education and Curriculum Development, Dr. Freda Githiru. Dr. Githiru reported to JTI in October 2016. The process of recruiting other staff is on course and they are expected to report in the course of the year. This will operationalize the three key divisions within the Directorate – Curriculum Development, Training and Monitoring and Evaluation. This in turn means that the Directorate becomes fully-fledged to serve the training needs of the Judiciary as envisioned in the Judiciary Strategic Plan and transformation goals outlined in the Judiciary Transformation Framework.